This was the first official Happy Monkey contest (in the first unofficial one Happymonkey39 chickened out and ran like a little girl). The list below is missing one important entry, an Honorable Mention winner by Shabidoo named, for some weird reason, HowTo:Cast a voodoo death curse using bones from someone you killed. It has gone missing, like Hemingway's valise. Aye, we remember it well. 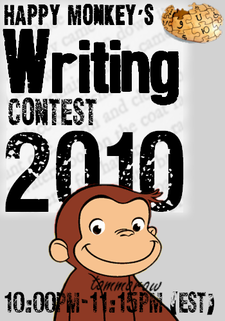 Pages in category "Happy Monkey Entry August 2010"
Media in category "Happy Monkey Entry August 2010"
This page was last edited on 7 September 2012, at 02:34.